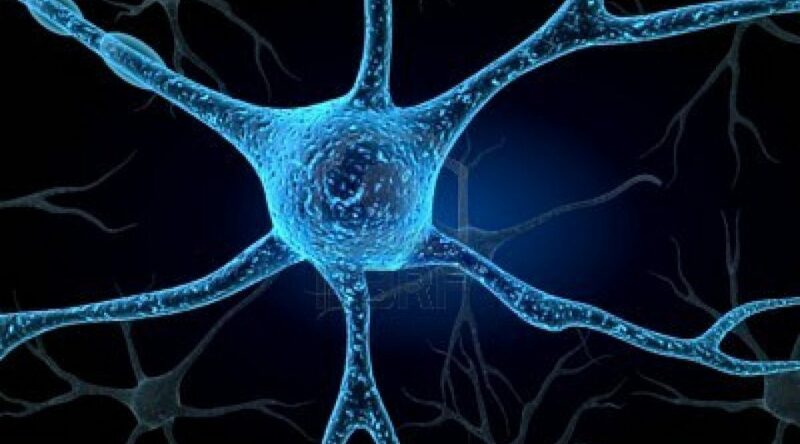 The research activities are focused on the the morphology, physiology, genetics, immunology, pathology, pharmacology of the central nervous system at molecular, cellular and integrated system levels and on the development of innovative strategies to counteract neurodegenerative diseases. (i) Role of Sigma-1 receptor (S1R) isoforms and oligomerisation in motoneuron (MN) survival and death. S1Rs are ubiquitary proteins, particularly enriched in MNs where they sit on mitochondrial associated endoplasmic reticulum (ER)membranes (MAMs) and in cisternae localized under the post-synaptic densities of cholinergic C-terminals. The physiological role of the enigmatic S1R and its oligomerisation state and the potential as therapeutic target in MN diseases will be studied in cellular and animal models of amyotrophic lateral sclerosis (ALS), in lymphocytes and autoptic spinal cord samples of patients affected by ALS with the aim of developing novel strategies to counteract the disease. In collaboration with M. Peviani (Harvard Medical School, Boston); C. Bendotti (IRCCS M. Negri, Milano); S. Collina (Dip. Scienze del Farmaco, UNIPV); M. Zorzetto, (IRCCS Policlinico San Matteo, Pavia); M. Ceroni (IRCCS C. Mondino e UNIPV) . Collaborations: M. Peviani (Harvard Medical School, Boston); C. Bendotti (IRCCS M. Negri, Milano); S. Collina (Dip. Scienze del Farmaco, UNIPV); M. Zorzetto, (IRCCS Policlinico San Matteo, Pavia); M. Ceroni IRCCS C. Mondino e UNIPV. (ii) Evaluation of metabolic alterations in patients with dementias. role of insulin-resistance The study aims to evaluate potential alterations of cerebral, liver and skeletal muscle energy metabolism in subjects with dementia, considering blood and cerebrospinal fluid as biological matrices. Potential alterations in the aminoacidic and metabolomic blood profile, in the concentration of plasma acylcarnitines, together with insulin-resistance condition are considered. Pharmacological treatments in combination with nutritional and/or neurological rehabilitation are evaluated. In collaboration with: A. Costa (IRCCS “C. Mondino”, Pavia); A. Navarra (IRCCS, S. Maugeri Pavia, Servizio di Medicina di Laboratorio); M. Daglia (Dip. Scienze del Farmaco, UNIPV); Prof. Luisa Mannina (Dipartimento di Chimica e Tecnologie del Farmaco, Università Sapienza di Roma); Prof. Bruno Solerte (Dipartimento di Medicina Interna e Terapia Medica – IDR S. Margherita, Pavia). Collaborations: A. Costa (IRCCS “C. Mondino”, Pavia); A. Navarra (IRCCS, S. Maugeri Pavia, Servizio di Medicina di Laboratorio); M. Daglia (Dip. Scienze del Farmaco, UNIPV); L. Mannina (Dip. Chimica e Tecnologie del Farmaco, Università Sapienza di Roma); B. Solerte (Dip. Medicina Interna e Terapia Medica – IDR S. Margherita, Pavia). Determination of the cytotoxicity of altered lipoproteins and modified amount/activity of hormones in blood of patients with eating disorder and in selected neural cell lines. Investigation of the molecular mechanisms mediating neural damage [In collaboration with MG. Bottone (Dept. Biology and Biotechnology, UNIPV); U. Balottin (IRCCS C. Mondino, UNIPV)]. Collaborations: U. Balottin (IRCCS C. Mondino, Pavia). Functional gastrointestinal neurobiopathology is studied by evaluating the neuronal control, and its modulation by neurotransmitters, of intestinal motility. The molecular aspects are investigated by analysing miRNA expression, pharmacogenetics and the influence of the intestinal microbiota. In particular, studies are designed to evaluate: 1) intestinal permeability, glial activation and intestinal microbiota in patients with Parkinson’s disease; 2) the dysfunction of gastrointestinal motility in an animal model of Parkinson’s disease. In collaboration with: F. Blandini (Laboratorio di Neurochimica Funzionale, IRCCS Istituto Neurologico “C. Mondino”, Pavia ). Collaborations: F. Blandini (Laboratorio di Neurochimica Funzionale, IRCCS Istituto Neurologico “C. Mondino”, Pavia ). The experimental project regards molecular studies investigating in vivo the mechanisms underlying the biochemical changes in Functional Proteomics of the enzymatic systems linked to energy transduction of cerebral tissue. The analysis of the biochemical connections (Metabolomics) existing between the catalytic properties of some energy linked enzymes during acute or chronic and neurodegenerative Diseases of neurological and psychiatric interest, are examined in the perspective of a neuropharmacological approach for evaluating potential therapies to improve the Central Nervous System functional efficiency. National and international collaborations and the outcome of the scientific research carried out so far can be found in R. F. Villa’s curriculum and Publication list, respectively: please refer to these two documents. Oxytocin, the hormone synthesized in the hypothalamus, acts both peripherally and centrally, thus regulating several behavioral functions. Recently, a correlation between the oxytonergic system and autism has been suggested to exist. Oxytocin receptors are widely distributed throughout the hippocampus, and various electrophysiological studies have been carried out in rodents to identify the oxytonergic circuits and to understand the neurodulatory mechanisms exerted by the neuropeptide in this structure. Oxytocin has turned out to enhance, in the hippocampal CA1 field, inhibitory transmission, by increasing the discharge frequency of a particular class of GABAergic neurons synaptically contacting pyramidal neurons. However, the mechanism through which oxytocin increaseses these interneurons’ discharge frequency has not been clarified yet, neither is it known how this increase influences pyramidal neurons’ excitability. Moreover, the mechanisms through which oxytocin is able to improve the symptoms of the autistic disease are also unknown. Our study focuses on the characterization of oxytocin-operated neuromodulation in the mouse hippocampus, in order to fill the knowledge gaps still existing in this field. HD is a neurodegenerative disease caused by a dominant, autosomal mutation in the IT-15 gene, which codes for a protein named huntingtin (Htt). The normal, functional role(s) of Htt are still unknown. The protein is ubiquitous, it is essential for normal embryogenesis, normal neuronal development and survival, and is also involved in synaptic activity. The expansion of the nucleotidic triplet CAG in exon 1 of the IT-65 gene (with > 36 repetitions) generates a mutated form of Htt (mHtt) which somehow becomes toxic to neurons and causes a wide loss of cerebral neurons, especially in the cortex and the striatum. mHtt brings about, besides neuronal death in the late stages of the disease, also progressive alterations in the morphology, excitability, and synaptic connectivity and function of cortical pyramidal neurons and striatal medium spiny neurons (MSN). Hence, the earliest behavioral and cognitive symptoms of HD anticipate, rather than being a consequence of, neuronal death. Derangements in synaptic connectivity and plasticity at the CPN/MSN synapses, as well as excitotoxicity, mainly mediated by alterations of NMDA receptors, appear to be crucial in HD pathogenesis and progression. By resorting to multidisciplinary experimental approaches (e.g., electrophysiological, behavioral, etc. ), we plan to analyze the basis of the progressive de-coupling of excitatory cortico-striatal synapses in knock-in mouse models of HD, both in the pre-symptomatic and symptomatic stages of the disease. This research project focuses on the functional characterization of a specific class of triatal neurons, namely medium spiny neurons (MSN). By means of a specific protocol of differentiation form human embryonal stem cells (hES, H9 strain), 2D or 3D MSN cultures will be obtained. Some cell lines will also exposed to induced over-expression of factors like GSX2 and EBF1 to enhance cell yield and quality. Moreover, given the devastating MSN degeneration typical of HD, our interest is directed towards the electrophysiological characterization of striatal neurons differentiated from induced, pluripotent stem cells (hiPS) obtained from fibroblasts of both normal and HD human subjects. In this way, it becomes possible to model HD in an in vitro system, thus providing a major contribution to understanding of the multiple and still unclear or unknown molecular mechanisms underlying the neurodegeneration occurring in HD. Moreover, the electrophysiological investigations will contribute to validate and consolidate the cell differentiation protocol, in sight of the ultimate aim of generating genuine in vitro MSN, usable for cell therapy, which currently appears to be an excellent candidate in neurodegenerative disease management. Parahippocampal cortices (PHCs) establish bidirectional synaptic interactions with the hippocampus that are of fundamental importance for the memory functions and spatial orientation functions typical of the medial-temporal lobe memory system. This project focuses on the study of the mechanisms governing the intrinsic excitable properties of PHC neurons, of their functional implications as far as communications between the parahippocampal region and the hippocampus are concerned, and of the neuromodulatory systems controlling them. In particular, the following aspects are studied: 1) the intrinsic membrane mechanisms which determine the specific discharge properties of medial entorhinal cortex (mEC) neurons; 2) membrane resonance phenomena, their underlying mechanisms, and functional implications in mEC and perirhinal-cortex (PRC) neurons; 3) the control mechanisms by which PRC is able to operate its characteristic function of selecting input signals of cortical origin and directed towards the hippocampus via the mEC, due to the intervention of a complex intrinsic synaptic network in which both projection pyramidal neurons and several different classes of GABAergic interneurons that generate a local inhibitiory action on pyramidal neurons are involved; 4) whether and how various physiological neuromodulatory systems, such as those relying on neurotransmitters like acetylcholine, dopamine, norepinephrine, etc., influence the above mentioned properties of single neurons and local circuits. Neurovascular coupling is the mechanism through which brain blood flux increases or decreases in response to modifications of neural activity of the same sign. The most widely accepted view attributes the ability to release vasoactive mediators, in response to synaptic activity, to neurons and astrocytes. This research project is currently examining, for the first time, the ability of brain vessel endothelium to directly sense the synaptic release of neurotransmitters. Our attention is focusing on the sensitivity of bEND.5 cells, a widely validated model for the study of brain endothelium, to the neurotransmitters, glutamate and acetylcholine, and the neuropeptide, catestatin. Specifically, the present project intends to: 1) study the mechanisms responsible for the generation of the intracellular Ca2+ oscillations which emerge after exposure to each one of the three above-mentioned agonists; 2) to assess whether and how such oscillations trigger the synthesis nitrogen monoxide (NO), the main vasodilating agent of the brain; and 3) evaluating whether and how the NO released by brain endothelial cells can act not only on vascular tone, but also, retroactively, on synaptic activity. Hericium (Bull.) Pers. Is a medicinal mushroom that is able to modulate the immune system and enhance cognitive functions in humans. In the last decade several in vitro and in vivo studies have been carried out to evaluate the effects Hericium after oral administration. In humans, in particular, the data available in the literature report a neuroprotective effect against brain stroke and effects of partial cognitive recovery in neurodegenerative diseases, such as dementia and Alzheimer disease (AD). In a mouse model of pharmacologically-induced AD development, food supplementation with H. erinaceus prevents impairment of short-term as well as visual recognition memory. No data are available as far as wild-type animals are concerned. This research line studies the effects of oral administration of this mycotherapic agent in wild-type mice. In particular, two aspects are dealt with: the ability of supplementation to improve some cognitive performances related to memory and the effects on hippocampal neurogenesis. The patch-clamp technique is applied to hippocampal slice, and in vivo behavioral studies are carried out. Collaborations: F. Brandalise, Brain Research Institute, University of Zurich; A. Gregori, MycoMedica d.o.o., Kranjska Gora, Slovenia; G. Orrù, Dipartimento di Scienze Chirurgiche, Università di Cagliari; M.L. Guglielminetti, M.Rodolfi ed E. Savino, Dipartimento della Terra e dell’Ambiente, Università di Pavia. Phenotypic plasticity is the ability of organisms to modify their phenotype in response to environmental changes. In particular, the prey-predator interaction is studied by exposing eggs and tadpole larvae to various chemical signals produced by different kinds of predators (specific, aspecific, indigenous, non-indigenous, etc. ), and evaluating the ensuing phenotypic modifications and response changes in the olfactory system’s mitral cells. The physiological mechanisms underlying such changes are studied in the attempt to understand how the information contained in predator-produced signals (kairomones) are coded at the various levels of the prey’s sensory system. The study exploits the application of the patch-clamp technique to the olfactory system (mitral cells) of in vivo tadpoles as well as the documentation of behavioral changes in tadpoles. Inward-rectifier potassium currents coupled to G proteins (GIRK) play a crucial role during migration and maturation of cerebellar granule cells in the cerebellar vermis. Consistently with such a role, the weaver mouse model, which is characterized by a spontaneous point mutation of a GIRK2-type channel, shows deep alterations in motor function, with a pattern of severe cerebellar ataxia. In cerebellar hemispheres, however, the ontogenesis of GIRK currents during cerebellar granule migration and differentiation shows a completely different pattern. This research line analyzes the regional differences in ontogenetic development of voltage-dependent currents. The study is based on the application of the patch-clamp technique in mouse cerebellar slices and immunohistochemical measurements with specific antibodies. The gene prolidase (PEPD) encodes for the unique Mn (II)-dependent imminodipeptidase responsible for the hydrolysis of dipeptides containing proline or hydroxyproline at the C-terminal. Mutations in this gene cause prolidase deficiency (PD), a rare, autosomal recessive disease. PD patients show reduced or absent enzyme ctivity and a wide spectrum of phenotypes: dermatologic manifestations as incurable leg ulcers; susceptibility to recurrent respiratory infections and varying degrees of mental retardation. In our laboratory, on a mouse model of PD, the dark-like mutant (dal), we assess the correlation between PD and the brain neuroarchitecture and histochemical alterations. In particular, we analyse postnatal alterations in the cerebellum, hippocampus and cerebral cortex. In three different mouse genotypes (wt, dal/+ and dal/dal) we shall evaluate the disorganization of the basement membrane and meninges; the alterations in the migration processes and neuronal differentiation; the imbalance between cell proliferation and cell death; impairment in the major neurotransmitter systems; neurodegeneration and angiogenesis. Morphological, histochemical and microscopic techniques will be utilized together with Western Blotting for quantitative analyses. ia) Identification of biomarkers to aid in the histopathologic diagnosis of astrocytic tumors, important in the stratification of patients (molecular subtyping) and, in general, for personalized medicine. Development of preclinical protocols for the modulation of autophagic programmed cell death. Translational medicine studies for the development of preclinical therapeutic protocols adjuvant to chemotherapy or radiation treatments. Collaborations: T. Florio (Dept. Internal Medicine and Medical Specialties, University of Genoa) and G. Fossati (ITALFARMACO spa, Milan). -ib) Development of preclinical anticancer therapeutic strategies based on the use of exosomes and the modification of their molecular content. Nano-vesicular systems, represented by exosomes, are important systems of communication between the cells and thus may also constitute, given their ability to reach cell districts even very distant, an efficient system for vehicular bioactive molecules to specific target cells, such as cancer cells. Consequently, the isolation and molecular manipulation of exosomial carriers may represent a novel tumor-interference system, useful to improve the effectiveness of current conventional treatment strategies. Collaborations: M. Biggiogera, F. Moccia, G.F. Guidetti (Dept. Biology and Biotechnology, UNIPV). In this context, we are focusing on DNA polymorphisms (SNPs) to identify new genetic determinants associated with particular social, psychological, behavioral (behavior genetics). Currently a study is in progress on the identification of polymorphisms of the oxytocin receptor gene associated with the neurological disorder in humans of prosopagnosia (difficulty in recognizing faces). Collaborations: Z. Cattaneo (Dept. Psychiatry, University of Milan Bicocca). (iv) Study of novel radiopharmaceuticals for the diagnosis of gliomas and of glial cells in physiological and pathological conditions. The differential diagnosis between tumor recurrence (gliomas and brain metastases) and radiation necrosis phenomena (RN), plays an important role both as a prognostic and therapeutic point of view. Despite significant technological advances of current imaging modalities (PET-CT, MRI, ..) is not yet possible an accurate diagnosis to distinguish areas of active neoplastic proliferation from necrotic or neuro-inflammation areas. Our current research involves the study of new radiopharmaceuticals (18F-FCH, 18F- FET) specific to distinguish low and high grade gliomas. As experimental model various lines of human glioblastoma (T98G, U251, U87) are used to evaluate the in vitro uptake of radiopharmaceuticals mimicking the in vivo situation. Collaborations: L. Lodola, M. Persico, F. Buroni (S.C. Medicina Nucleare, IRCCS Policlinico San Matteo, Pavia); F. Corbella, F. Pasi (S.C. Radioterapia Oncologica, IRCCS Policlinico San Matteo, Pavia); A. Facoetti, C. Aprile (Fondazione CNAO, Pavia); E. Giombelli (Divisione Neurochirurgia, Ospedale di Parma); A. Messina (Div. Neurochirurgia, Ospedale di Sondalo); E. Benericetti (Div. Neurochirurgia, Maria Cecilia Hospital GVM, Cotignola, BO).